Process Progress Possibility was an annual digital media showcase at Vancouver Island University. The showcase exhibits digital media projects created by faculty and students of the Media Studies department. 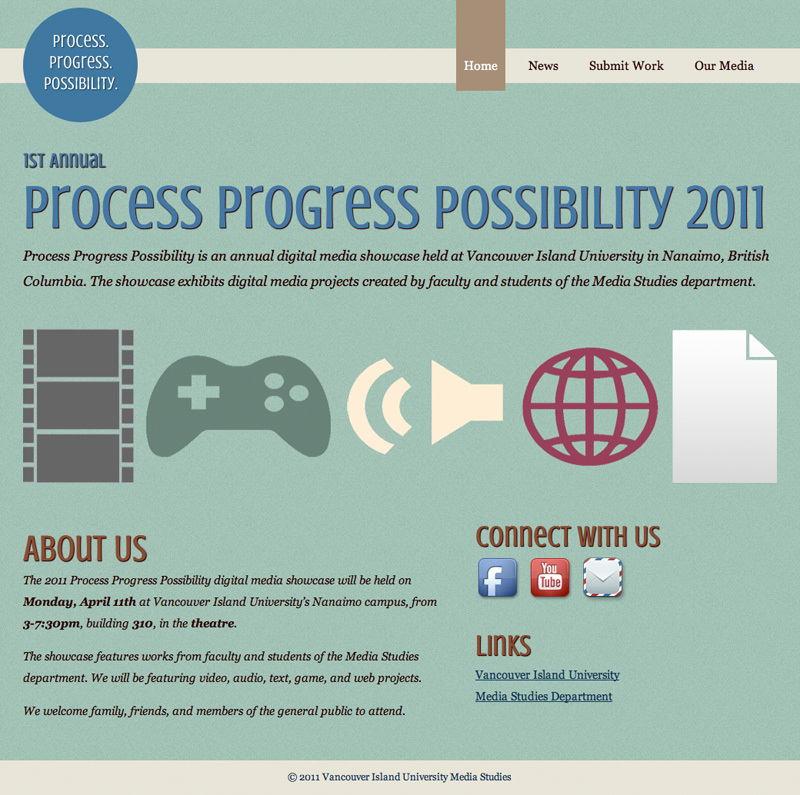 This website was a project for a class at VIU. I designed and developed this website on WordPress with it’s own custom theme, utilizing HTML5, CSS, and jQuery. It has a widgetized sidebar and allows for custom menus.